So you booked your first reception; now what? So your new company booked your first wedding reception. Now What? Oh my goodness. You have that signed contract for a wedding reception for 150 guests. Hopefully, it’s not for tomorrow. You have to understand that the number of guests may change several times before the big day. Make sure you get a final count one week before the reception. And allow plenty of time to get the non-perishables and alcohol you may need. One of the biggest complaints guests and brides voice about their receptions is that half of the guests were finished eating before the others are even served. Our products can relieve that issue entirely. You can roll out up to 168 entrees all at once; ready to serve, with just one of our twin carts. And we have a cart size to handle nearly every banquet size. Everyone wants to see the cake cut. And maybe or maybe not the obligatory smashing of the cake in the bride and grooms face. We always hope not; but it’s the couples day, so it’s up to them. One of the other complaints you hear is that the tables weren’t cleared very quickly and people are dancing around staff trying to clear. We have a bit of help with that too. Our carts can make clearing just as efficient and quickly as serving was and if you use our table top models to allow self-serving of cake after the initial cake service you can free up a couple of servers to help clear too. Make sure you keep an eye on the bar to see if any guests need cut off and make sure your staff keeps an eye on underage guests to make sure no one is served alcohol in error. Now relax; make sure you have everything you need ordered; and map out your strategy for the day that will coordinate well with the photographer, and DJ or band. Collect your deposit and get whoever is paying for the reception on a payment schedule that gets the reception paid for before the wedding date in full. You may have a few dinners that need to be paid for on the day of, for guests that show up without being included in your final count. It can be tough getting paid after the event so I highly recommend getting most if not all of your fees paid before the reception. 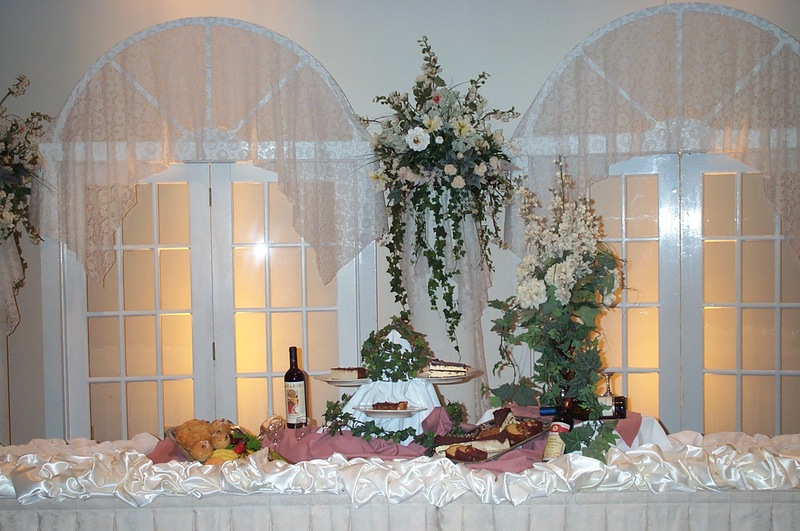 Many caterers use the 75% paid before and the balance due on the day of the reception. And remember, every wedding has their gaffs, just be prepared and it won’t be the caterers gaff.